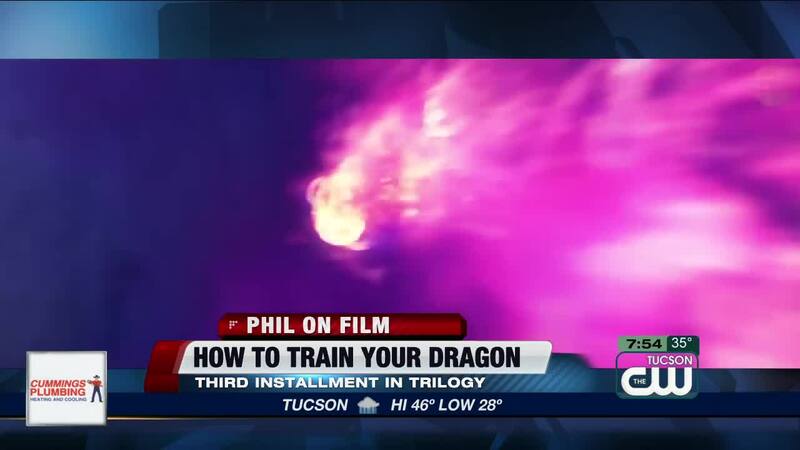 They say this is the final "How to Train Your Dragon" movie. Right. And this is my last Pringle. And that's your friend's last passive-aggressive meme share. And over there is the last time your dad tells his favorite inappropriate joke to a stranger. The "How to Train Your Dragon" empire is so colossal that the thought that it's ending is almost laughable. Don't buy it. As long as there is money to be wrung out of this property, it will continue to pop up in all forms of media. That's just as well, because "How to Train Your Dragon: The Hidden World" shows that the series continues to soar, easily emerging as the most visually stunning and mature of the series. Hiccup (Jay Baruchel), the meek, awkward teen from the first two films, is now a meek, awkward grown man, attempting to lead his tribe of Vikings. A brutal tribe of dragon hunters is on the attack, and Hiccup decides to lead his people and their dragons on an exodus in search of a legendary realm that could provide safety shelter. Love is in the air in this outing, with Hiccup edging toward marriage with his longtime crush, Astrid (America Ferrera) and even his trusty Night Fury dragon, Toothless, courting a potential mate in the form of a wild Light Fury. The journey may be predictable, and the lessons may be ham-fisted, but the story is skillfully told, and performed with a top-notch voice cast of Cate Blanchette, Gerard Butler, Jonah Hill, Kristen Wiig and David Tennant. What might have been a going-through-the-motions cash-in instead turns into a spunky, resonant adventure that makes the first two movies seem like prologues. Most impressively, director Dean DeBlois' effort manages to maintain its senses of whimsy and humor even when the themes of loss and heartache begin to weigh heavily. A triumphant continuation -- don't call it a finale -- of a series a generation of kids have grown up with, the film shines with a polish and skill fans of the series have become trained to expect.